PLAN YOUR PARTY TODAY !! Birthday Parties, Holiday Parties, and Wedding Parties. 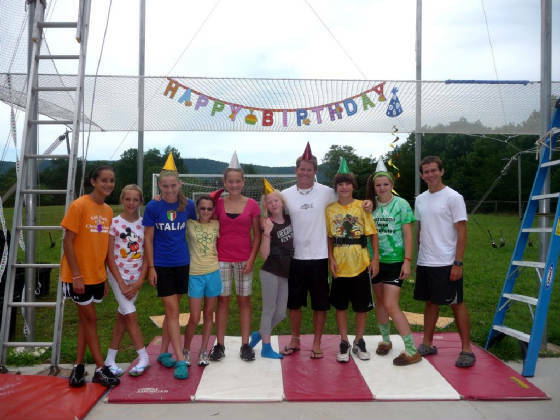 Aerial Trapeze Academy is committed to providing our customers top quality products and excellent customer service. We strive to make your event as stress-free as possible on our side. We specialize in well maintained, inspected, and safe equipment for your event. We are delighted to offer you a wide variety of fun, safe and exciting party ideas with affordable prices. So EVERYONE can have fun! Exclusive packages to fit your needs and your budget. Ages 4 and up are welcome. Minimum package includes 2 hours of flying trapeze. Food or cooking not included. Prices will vary. ATA can set up in 7 hours at your Party location, or have your Party at our private location in Royal Palm Beach. Call us today and let us help you make your event as special as your child!